1. 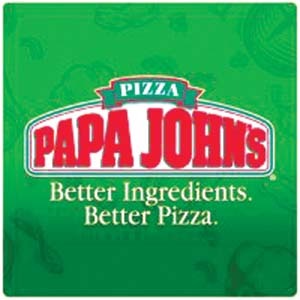 Papa John’s Pizza — For entirely mysterious, bureaucratic reasons the university will only let student organizations bring Papa John’s pizza into the student union (where our station is housed). Want to sneak in some (far superior) Domino’s? Off with your head! Trying to order your club some Pizza Hut on a university phone? How did you do manage to do that while your head was dismembered? 2. 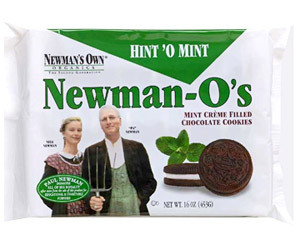 Newman’s O’s Hint ‘O Mint (Organic?) Knock-Off Oreo Cookies — I truly do not understand what could possibly make off-brand Oreo cookies “organic,” but I digress. These are a staple at directorial meetings. 3. Twizzlers — Nothing says “we take our job seriously” like an economy-size container of Twizzlers. What food is in abundance at your meetings, college radio, student organization, or otherwise? Want to learn about some recommended musical artists to perk up this Thanksgiving? Head over to Then Heather Said to see my guest playlist, called “Pumpkin Spice & Everything Nice: A Mix for Giving Thanks.” She even made a spiffy YouTube video playlist so you can listen and read about the artists at the same time. Heather runs the coolest healthy living blog around, and even guest lectured to one of my classes this semester. What a sweet lady! Thanks, Heather!